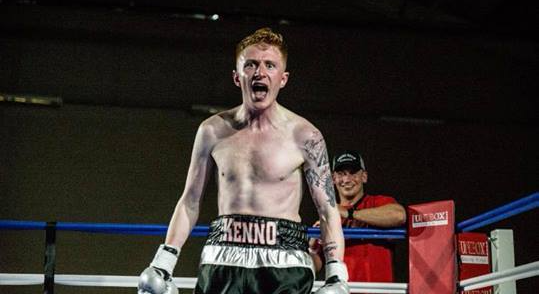 Craig Kennerdale continued his unbeaten streak in the professional ranks, defeating imported opposition by stoppage on a show promoted by rising Liverpool fight figure Kyle Gallagher. Kennerdale, looked impressive as he took out the tough eastern European in round 3 of his scheduled 4 round contest. ‘The Red Mist’ reflected on his victory. Craig said, “I was delighted to pick up the victory at Kensington Sports Centre and delighted it was my first stoppage as a professional. “I’d had a good camp working with both Kyle Gallagher at the Engine Room Gym and Mick Crawley who was an excellent amateur fighter and works with a couple of up and coming pros in Prescot. I’m hitting a lot harder now and that’s what you need in the pro game. Kennerdale will next be in action in Scotland on April 14 against unbeaten opposition. The Prescot Light Welterweight opened up about the challenge ahead. Kennerdale, who won amateur titles at University level in Sheffield, has been flawless since making his professional bow and talked about his plans for the remainder of the year.